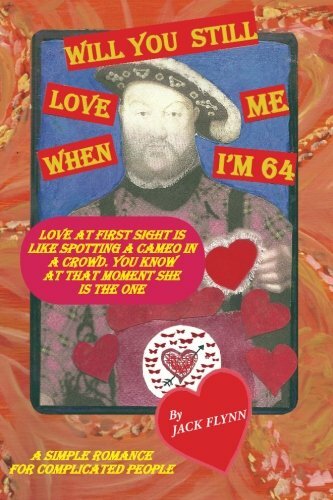 about this book: Will You Still Love Me When I'm 64? Does first love embody certain indestructible elements? That is the question that was running through my mind moments before life was breathed onto the page from my everyday life, as well as from the archetypal history of love itself. As I pondered, a second question came to mind: Isn't Love at first sight like spotting a cameo in a crowd? You know at that moment, she is the one. My next thought was also in the form of a question—a question for the young . . . How much love does it cost to fall in love? Older people know the cost. Do you doubt this? Look in their faces. It was those three questions that were the launching inspiration for this tale of love found, and love lost — a love that all the King's horses and all the King's men couldn't put back together again, until Jackie Riley and Joanie Callahan showed them how.